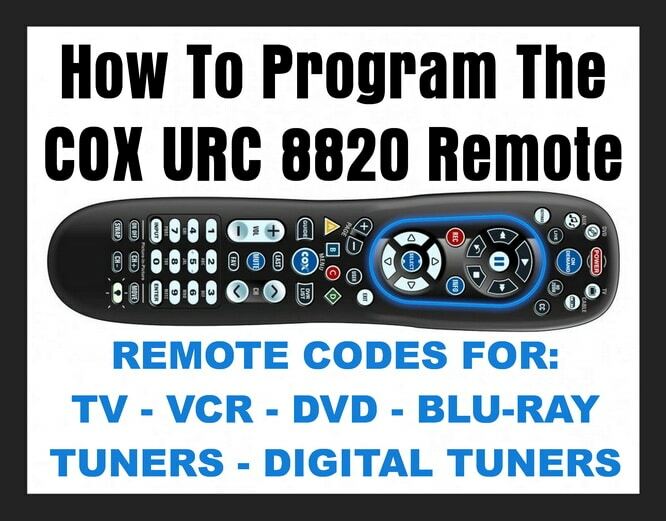 If you have the COX URC 8820 remote control, you can use it as a universal remote. 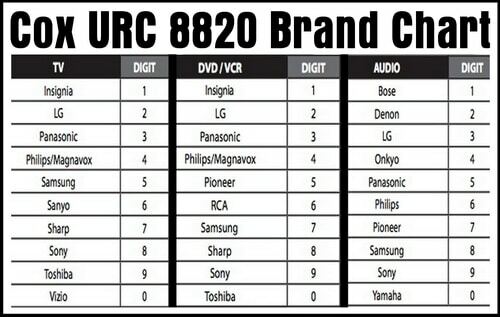 The URC 8820 remote provides full universal control of TVs, Blu-Ray, DVR players, VCRs, and surround sound audio systems. 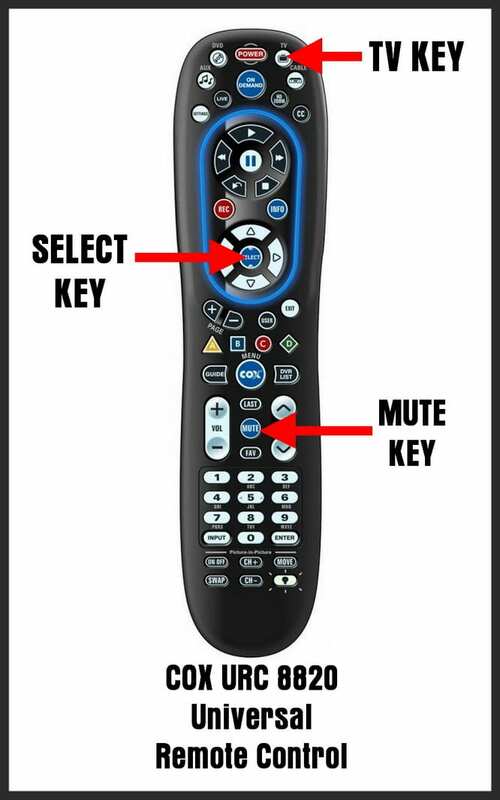 Find full remote programming instructions below. Find the remote control codes for all devices including TVs, DVDs, Blu-Ray Players, Tuners, and all component brands. Hundreds of remote codes are listed below. Simply find the component that you want to control with the URC 8820 and program it into the remote. Full instructions are found below. If your Television did not turn off… simply repeat the steps by trying each code listed for your TV. Turn on the TV or Device you need to program and point the remote at the device when performing setup. 1 – Press and hold MUTE & SELECT keys until the mode key blinks 2 times. 2 – Press the MODE key for the type of device you are setting up. 3 – Find the device type and the brand in the chart below. 4 – Press and hold the correct DIGIT key. 5 – Let go of the key when the device turns OFF and setup has finished. Search below for Remote Control Codes for TVs, Blu-Ray Players, Digital Video Recorders, DVD Players, and Tuners. Need help programming your URC 8820 Universal Remote Control? Please leave your question below and we will be happy to assist. programming my URC-8820-MOTO. Looks like it works. All remote functions work correctly but not the DVR fast forward, rewind and play functions. Need to delete Pin code for Toshiba t.v. Tv remote keeps switching between tv and cable, we only use antenna.